According to persistent legend a truck carrying a load of green parrots turned over on the Interstate highway near New Orleans sometime in the late twentieth century and spilled its colorful cargo into the local mythology. Whether the story is true or not, there are green parrots all over town and they often congregate noisily in tall palm trees and on telephone and electric wires above the heads of the citizens. The song, Seven Birds, was inspired by the activities of these birds and their similarities to the activities of my son, Tucker, and his teenage friends during high school. Like the parrots who fly away one at a time, Tucker’s friends dispersed slowly as they grew into adults. There are eleven stories on this album, but this is the only one told from the perspective of a flock of birds. Midnight Delta gives us a feeling for the sights and sounds of rural Mississippi. I’ve Been Delayed tells of longing and loneliness. The Party’s Over describes the liberation of a woman who has finally had enough of her old life, while I’m the One paints a picture of acceptance of a status quo that is far from perfect. What’s in Your Pocket takes us on a tour of one man’s personal, portable treasures; and Disappearing Nightly illuminates the life of a traveling musician. The thread that ties these songs together is nothing more or less than life itself. On this album I take advantage of a pool of musician friends in Germany. Sini, Reinhard, Fred and Mutz bring fresh ideas to the studio; and it is a treat to create music with them. The two tracks recorded in New Orleans give me a chance to introduce the wonderfully impish Aurora Nealand, one of my all-time favorite musical cohorts. But, of course, no matter how much we enjoy making music, the circle is not complete until someone hears it. Thank you for listening! Blackwater Music lines out what has been on Spencer Bohren's mind lately: a good friend caught in the past, environmental irresponsibility in Louisiana and his home state of Wyoming, the passage of time, deep love. The usual parade of guitars, particularly highlighting the lap steel singing both sweetly and raucously, define this emotion-filled collection of all original songs. Son André Bohren is featured on drums, percussion, and gospel piano, with further assistance from a variety of New Orleans notables. 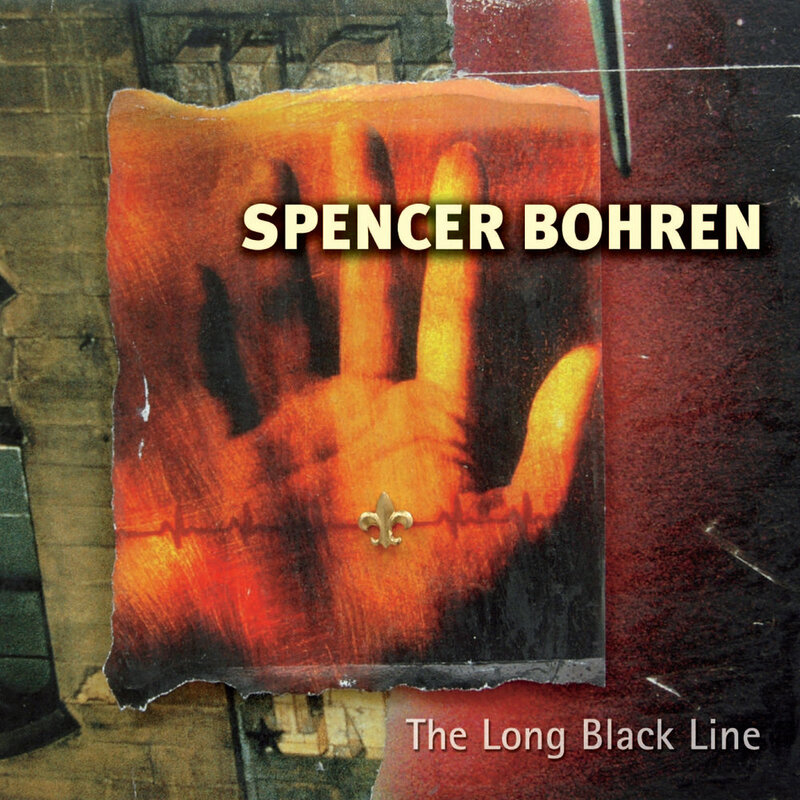 All new songs by Spencer Bohren. Every song on this album was recorded or sung by Hank Williams more than fifty years ago. They pretty much cover the entire range of human emotion. Whether he was singing about love or loneliness, anger or ecstasy, salvation or sorrow, jubilation or indifference, Hank had a knack for getting directly to the heart of those feelings. His songs give voice to anyone who has ever lost in love, been in trouble, or felt their spirit soar or fall… in short, just about all of us. I’ve been a Hank Williams fan for forty years, and I consider it an honor to sing these songs for you the way I hear them. Beginning with a melody carried in the heart of a man chained in the hold of a Sixteenth-Century slave ship, Down the Dirt Road Blues tells the story of one song's journey through American history and culture. Using era-appropriate instruments as accompaniment, the African melody travels from the cottonfields of Mississippi to urban Memphis, Tennessee, and on to the Appalachian mountains, the studios of Nashville, the genesis of the Rock 'n' Roll era, and the Folk Boom and English Invasion of the 1960s. Performance of Down the Dirt Road Blues in schools, universities, and community concerts, both nationally and internationally, garnered Spencer the 2010 Keeping the Blues Alive award from the Blues Foundation in 2010. Spencer Bohren's lifelong interest in America's musical history comes full circle with Southern Cross. In his capable hands, a variety of stringed instruments breathes life into a cornucopia of traditional blues, gospel, country, and rhythm 'n' blues songs. His original pieces fit so seamlessly into the tradition that one must look at the liner notes to identify them, and the comfortable pace and depth of performance make it his most mature effort to date. From the powerfully evocative lapsteel intro of “People Get Ready” to the lonesome frailed banjo of his own “East Kentucky Coaldust,” Spencer takes the listener on a sublime and unforgettable musical journey. Spencer Bohren's Solitaire documents many of the most beloved songs from his concert repertoire in their acoustic form. 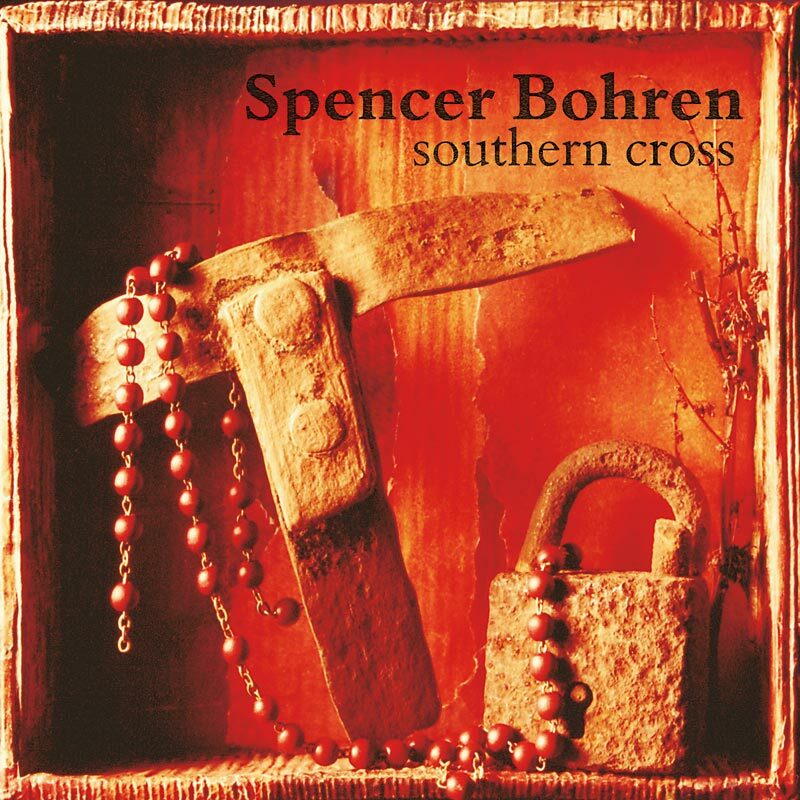 Though several of the tracks have been previously released, these versions are what the audience typically hears at a Spencer Bohren concert. All of the elements are here, from the deep delta bottleneck slide work of Been 'Round the World, to a chilling rendition of the original, Witch Doctor, performed on the supremely evocative lapsteel guitar. Other original contributions include the ever-popular Born in a Biscayne, the lonesome ballad, In-Between Friends, and the jaunty Down the Road. Blind Willie McTell, The Rolling Stones, Hank Williams, Skip James and Charley Patton fill out the songlist.